New Zealand are without doubt the number one team in the world right now. There’s absolutely no denying it. The World Rankings don’t lie and they’ve got back-to-back Rugby World Cups to top it off. On Saturday they sent a warning to all other nations hoping to take their crown off them in Japan next year, by smashing the Wallabies 40-12 to claim the Bledisloe Cup for a 14th consecutive season. But as we all know – there’s a lot of rugby to be played between now and September 2019. The All Blacks may be favourites to retain the World Cup for an unprecedented third time, but they will not be without a challenge. 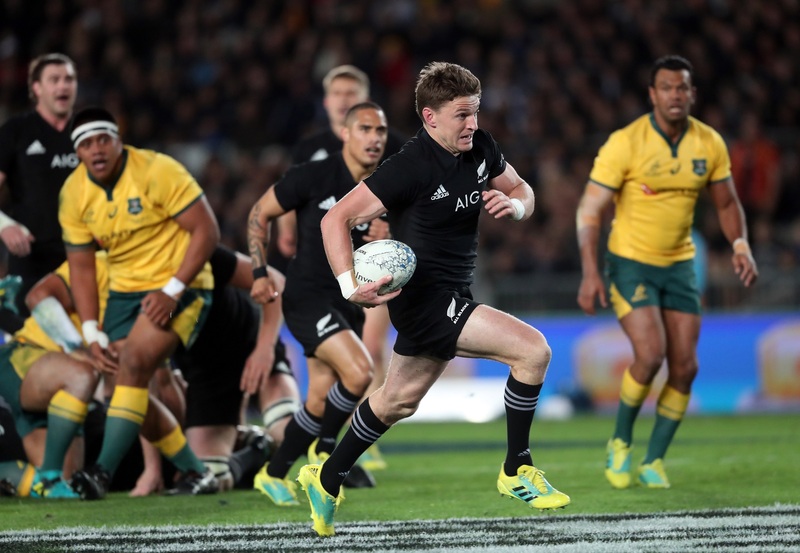 New Zealand Herald columnist Chris Rattue however, is already ‘jumping the gun’ and reckons the All Blacks might as well be ‘handed’ the World Cup right now after Saturday’s result. “It’s time to jump the gun,” he wrote. Some bold words that may come back to haunt him and New Zealand next year. And as for Beauden Barrett being the greatest ten of all time? Another questionable claim if you ask me.